The operational cost of the event approximates to 20 million dollars, which includes venue, audio system, stage, training, printing, advertising, pre-event activities and administrative cost. We call for all Christians to pray for the Hong Kong Gospel Festival 2017. 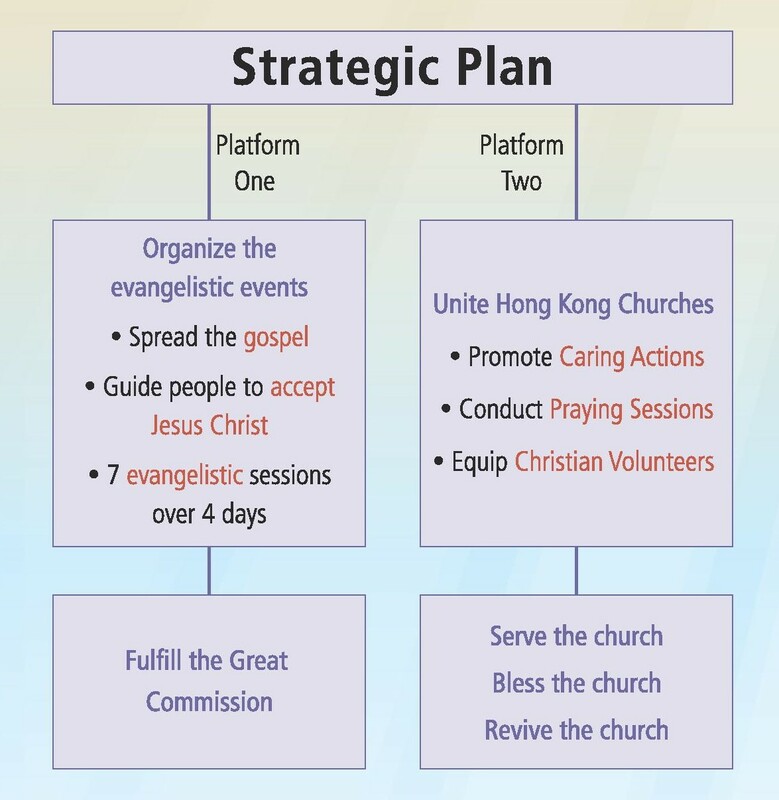 May the Holy Spirit touch the hearts of all Christians, churches and organizations in seeing the need to spread the gospel and to actively engage in the event. 2. Make a deposit into Hang Seng Bank Account 239-479256-883. Please send cheques and deposit slips, along with the donor’s name, contact telephone number and mailing address, to the administrative office. Official receipts will be issued. Donations over 100 Hong Kong dollars are eligible for tax exemption.